These are Responsive Design layouts with the Ecommerce Templates shopping cart software integrated into them. They are XHTML valid and come with a dwt file for making global design updates. This is the same shopping cart software that powers The Template Store and thousands of stores around the world. For a full list of features please follow the links below. Purchases will be made through our sister site, www.ecommercetemplates.com. 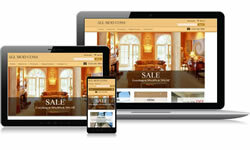 This is our ecommerce enabled version of Responsive Design Styles. With the download you get a professionally designed layout with our fully featured shopping cart integrated into it, leaving you to upload it to your host, make the database connection and start adding your product information. Design changes can be made in the HTML editor of your choice. This Responsive Design layout is available for purchase through www.ecommercetemplates.com. 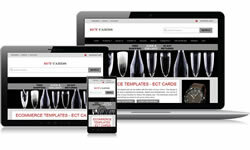 This is our ecommerce enabled version of Responsive Design Cards. With the download you get a professionally designed layout with our fully featured shopping cart integrated into it, leaving you to upload it to your host, make the database connection and start adding your product information. Design changes can be made in the HTML editor of your choice. This is our ecommerce enabled version of Responsive Design Ice. With the download you get a professionally designed layout with our fully featured shopping cart integrated into it, leaving you to upload it to your host, make the database connection and start adding your product information. Design changes can be made in the HTML editor of your choice. 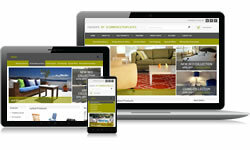 This is our ecommerce enabled version of Responsive Design Indoors. With the download you get a professionally designed layout with our fully featured shopping cart integrated into it, leaving you to upload it to your host, make the database connection and start adding your product information. Design changes can be made in the HTML editor of your choice. 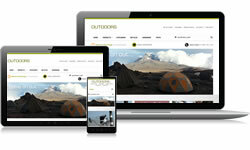 This is our ecommerce enabled version of Responsive Design Outdoors. With the download you get a professionally designed layout with our fully featured shopping cart integrated into it, leaving you to upload it to your host, make the database connection and start adding your product information. Design changes can be made in the HTML editor of your choice. This is our ecommerce enabled version of Responsive Design Black Stuff. With the download you get a professionally designed layout with our fully featured shopping cart integrated into it, leaving you to upload it to your host, make the database connection and start adding your product information. Design changes can be made in the HTML editor of your choice. This is our ecommerce enabled version of Responsive Design Mod Cons. With the download you get a professionally designed layout with our fully featured shopping cart integrated into it, leaving you to upload it to your host, make the database connection and start adding your product information. Design changes can be made in the HTML editor of your choice. 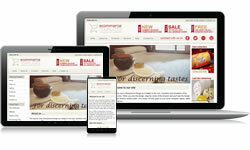 This is our ecommerce enabled version of Responsive Design Our Stuff. With the download you get a professionally designed layout with our fully featured shopping cart integrated into it, leaving you to upload it to your host, make the database connection and start adding your product information. Design changes can be made in the HTML editor of your choice. 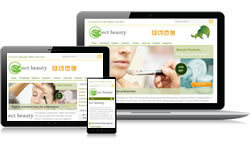 This is our ecommerce enabled version of Responsive Design Beauty. With the download you get a professionally designed layout with our fully featured shopping cart integrated into it, leaving you to upload it to your host, make the database connection and start adding your product information. Design changes can be made in the HTML editor of your choice. 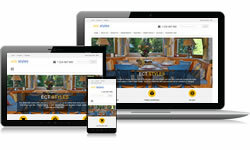 This is our ecommerce enabled version of Responsive Design Lifestyle. With the download you get a professionally designed layout with our fully featured shopping cart integrated into it, leaving you to upload it to your host, make the database connection and start adding your product information. Design changes can be made in the HTML editor of your choice.